The final spring classic and the oldest, the race began in 1892 and these days marks the transition from one day classics to the hilly stage races thanks to a course that’s as hard as a day in the Alps with plenty of vertical gain from the ten marked climbs and many more that are unlabelled. Alejandro Valverde is the obvious pick for Sunday this time he’s got more challengers in a race that is harder to control. The Route: 258km and almost 4,000m of vertical gain, comparable to a mountain stage in the Giro or Tour de France. It’s only 94km to Bastogne and the famous U-turn before the race heads into the hills for a series of climbs, some categorised and many not. This year’s route is different with the traditional triptych of the Wanne, Stockeu and Haute-Levée climbs replaced by a new combo of the Côtes de Pont, Bellevaux and Ferme Libert, the last better known to locals as the Signal de Botrange. Will it make a difference? The new collection is not as hard but that’s relative, these are still selective and will start to soften up the race. Le Pont is over a kilometre at 10%, Bellevaux is more gentle at 6% on a wide road and La Ferme Libert is the toughest of the trio with a 12% gradient which sounds hard but it’s irregular and has some much steeper sections. The route then picks up the familiar names again like La Redoute, the strategic rendez-vous, a very awkward road to ride with a gradient that keeps changing. It’s the Walloon version of the Koppenberg or Kapelmuur, painted with PHIL, PHIL, PHIL in tribute to local hero Philippe Gilbert who won’t be riding. The winning move is unlikely to go here but many will get dropped and the false flat after is hard work. The Côte de La Roche-aux-Faucons is next, it’s not a classic climb only appearing in 2008 but very selective. Finally there’s the suburban Côte de Saint-Nicolas as the penultimate climb before the finish. The Finish: after many scenic climbs with woodland the race swoops into to Belgium’s rust belt and its decaying steel mills. Deceptively the finish isn’t in Liège but five kilometres away in Ans, an unremarkable suburb. Last year’s race included the cobbled Rue Naniot but this is off the route and it’s back to the classic finish on the Rue Walthère Jamar, it’s uphill on a wide road until 250m to go when they turn left onto the flat finishing straight. Alejandro Valverde again? He’s the obvious pick but this race is less of a controlled scenario than Wednesday’s Flèche so he won’t have it so easy. Still he’s won it three times and shows no signs of slowing down yet. He’s in great shape, has a strong team and can still sprint fast out of a small group. Dan Martin has won and lost in Liège, success in 2013 and crashing in sight of the finish line when leading in 2014. This experience will serve him and he’s in good form as we saw on the Mur de Huy where he seemed badly positioned at the start but sliced through the field to finish second. He’s quick in a sprint from a group too. Quick Step bring a strong team with the likes of Petr Vakoč, Dries Devenyns, Gianluca Brambilla and David de la Cruz (but no Bob Jungels who is preparing for the Giro) who could all win given certain circumstances but Martin is firmly the captain. Michael Albasini‘s enjoyed a long career where he seems to bloom every season in late April for the Ardennes and then the Tour de Romandie. He almost won last year and packs a powerful sprint which he’ll rely on, he can cover the moves others make. Previous winner Simon Gerrans is probably road captain while Adam and Simon Yates bring more options for Orica-Scott with Simon perhaps the pick between the two given he’s not riding the Giro any more so doesn’t have to hold back before refocussing on the Tour de France although this reasoning is suggestive at best. Michał Kwiatkowski didn’t have it for Wednesday Flèche Wallonne but for this blog at least he was always an outsider on such a finish. Come Liège and he’s a much better pick, the course suits him more and if he comes in with a small group then he’s wily for the sprint. Sergio Henao is in good form but Team Sky are likely to be all in for Kwiatkowski. 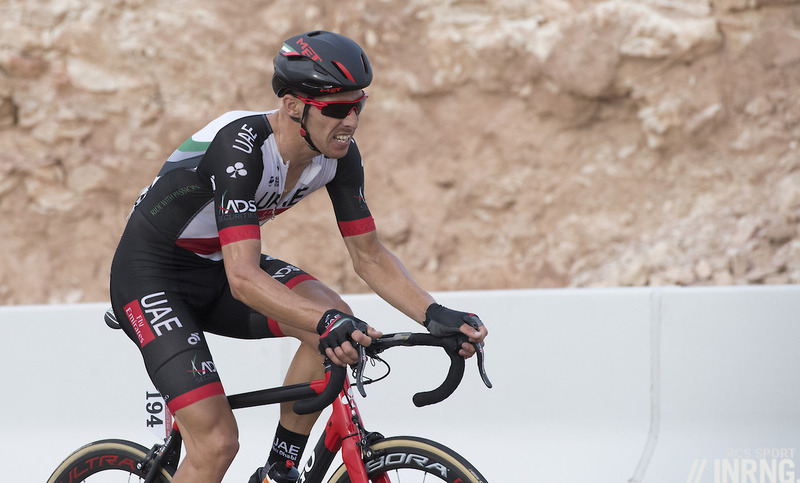 UAE-Emirates come with three options in Rui Costa, Diego Ulissi and Louis Meintjes. Costa is a strong rider who made the podium a year ago but is the archetypal diesel so a win outright is not easy, he’s often present in the finish of a hard race but doesn’t win often. Ulissi by contrast packs a fast sprint. Greg Van Avermaet rides and if we associate him with the cobbled classics remember he won a stage of the Tour de France in the Massif Central and then the Olympics although Liège is probably going to be too much, the intensity of the repeated climbs too much and he was just off the pace in the Amstel. BMC team mate Dylan Teuns is worth watching, a very promising U23 who was winning mountain stages of the Tour de l’Avenir and Aosta all while making the podium in cobbled classics in the same season. 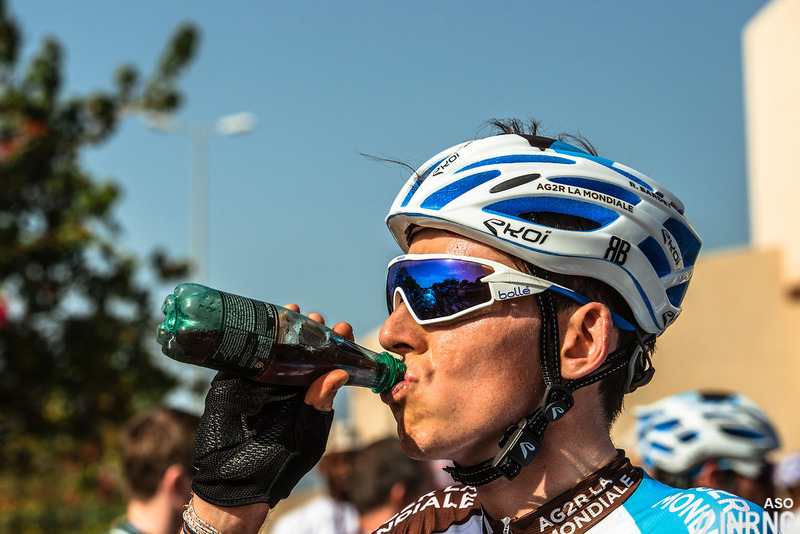 Romain Bardet loves this race and has been improving each year but how does he win? There’s no terrain to sneak away given the final is on familiar and wide roads. Still the form is good so a top-10 is probable. Domenico Pozzovivo was lively in the Tour of the Alps this week and has featured in this race before but how does he win? Team Sunweb have Warren Barguil fresh from a top-10 on the Mur de Huy and Tom Dumoulin straight of Mount Teide. Barguil should be more at ease in the race while many who come off a volcano need a moment to get their racing legs but Dumoulin has shown he can attack in the Ardennes before, he’s much more than a time trial specialist. Nathan Haas looked great in the Amstel Gold Race but once again he tended to show too much to his rivals in the finish. However he’s been sick this week so his chances in Liège depend on recovery and this means he loses a chainring in the ratings below. Cannondale-Drapac’s Michael Woods is another who has fallen ill this week but could still recover. 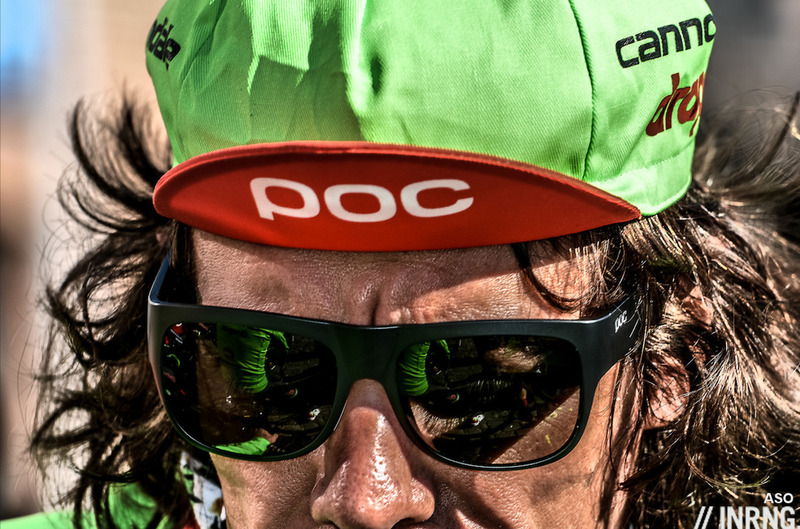 If not Rigoberto Uran is made for a race like this and showing good form in the Tour of the Basque Country. Finally some more names. Bahrain-Merida’s Ion Izagirre could feature in the finish but is often a consistent stage racer more than a dynamic one day wonder. There’s no Gaudu for FDJ so hopes rest on Artur Vichot. Trek-Segafredo’s Fabio Felline was up there in the Amstel and sprints well. Tim Wellens is Lotto-Soudal’s best hope but his bold style can’t pay off every time. Weather: cold and cloudy with a top temperature of 9°C and the outside chance of a rain shower too. But unlike last year it won’t snow. There will be a light headwind from the North of 10-15km/h. TV: local channel RTBF starts coverage at 2.10pm CET and the finish is forecast for 4.50pm. It should be on the channel you watch the Tour de France on and if not there’s Eurosport or cyclingfans.com and steephill.tv have links to schedules and streams. That first picture always gives me claustrophobia. I can’t imagine trying to ride up that hill in such tight quarters. Have there been any major f**k-ups and crashes on that opening climb? Looks like a disaster waiting to happen. 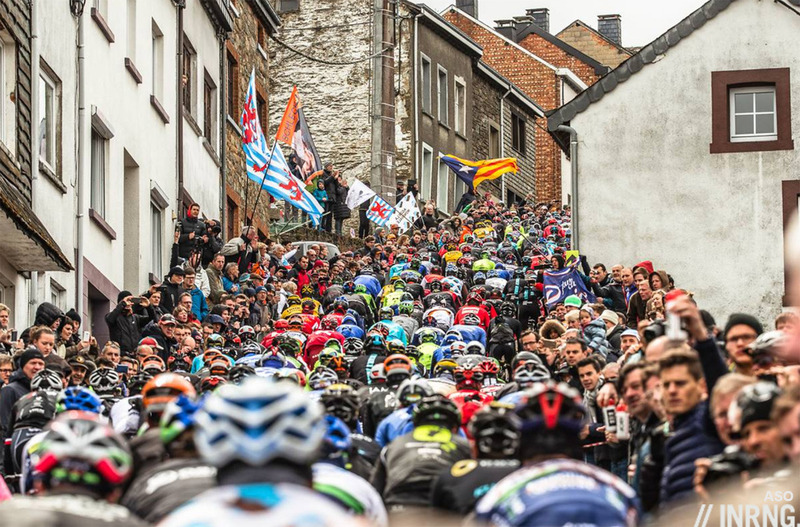 It’s the Saint Roch climb out of Houffalize and a good illustration of how being at the back of the bunch can be costly, how far you are from the front. It’s one of those regular photos, partly because the spot on the corner allows for the uphill view you see but also because photographers can get the riders here on the way out and then move on to other places for later. Not a cycling disaster, but the town of Houffalize suffered badly during WWII’s Battle of the Bulge. It’s hard to get excited by this race after the last few years. Maybe if PHIL, PHIL, PHIL was riding. Good move by GVA to try this – nothing to lose. Sagan has a lot to learn on so many different levels from GVA this season. Fully agree, we miss phil gil for this race and it is really appreciated that GvA tries it and a pity sagan does not. Can hardly believe the news on Michele Scarponi this morning, truly shocking. Rest in Peace Michele. Hadn’t even read it – stunned. RIP Michele. God, that’s terrible. His poor family. RIP Scarpa. Given the situation in Italy, this was bound to happen. And we should start asking for a shift in language use (to begin with), as it happened for femicides and other phenomena. I’m sick of reading “Scarponi dies”, “tragic car accident”, no reference to the dynamics. And that’s Gazzetta, the Giro organisers, supposedly interested and involved in cycling. For once, CN got it right: “Scarponi killed”, “hit by a van”. No doubt about the facts: the van jumped over a stop and struck him (“I hadn’t seen him”). Then I’ve got to endure the FCI president saying “what a tragedy, what a bad-written destiny” (literal translation). Shameful. No tragic fate, here: just the consequence of a distorted legal, social and cultural model. Italy has probably got the worst traffic laws in Europe, when cycling is concerned – and Di Rocco says “we’re presently working to set some rules”, oh, cheers!, when he’s been up there for the last twelve years and never made any serious effort about safety. I can only hope that this horror might be enough to foster change, as it happened in Spain with the Otxoa brother accident in 2001. And I’d like to see some strong reaction from the peloton, too (well, if there was no strong positioning after the Giant accident…). Scarponi was a beloved figure among his colleagues. Garzelli, as a TV commenter, was clearly emotional about Scarponi getting a win again after a long drought, just days ago. It’s perhaps unfair to think that one single death might change things when hundreds are killed the same way every year (between 250 and 300), but that’s how things work sometimes in our society and cycling institutions, both national and international, should start to create pressure. Accident after accident, this has long been unacceptable. It is sad but perhaps we could leave the details of the accident to the officials for the moment before assigning blame and more. There’s probably plenty of time for that later. We’ve been having plenty of time for years, now it’s too late – again. The details of the accident are already known beyond doubt but they don’t matter that much, either: it’s one single event within a much bigger picture. However, it’s obviously your blog and I won’t insist further. So you were with him on his training ride or are you part of the police investigation team on the ground? Sorry, beyond doubt, that’s nonsense. I know, it’s just that this blog doesn’t feel like the place right now for this. As you know there are plenty of websites with full details, even photos, of the incidents and I’d rather step back from that in what is a piece about an upcoming race rather than having Scarponi’s memory, and the collision, covered in the comments of a blog post. As someone who spends a LOT of time in Italy and a fair amount of it riding a bicycle (and I must admit someone who runs a business sharing Italy with fellow cyclists) I take issue with “Given the situation in Italy, this was bound to happen” and “Italy has probably got the worst traffic laws in Europe, when cycling is concerned”. Why? I spend a fair amount of time riding around by myself or just with the wife in addition to with our clients and have yet to see, hear or read about the mass carnage that one would think would be the result of such claims. I had more people honk horns and yell at me to get off the road in Belgium in two days than in an entire summer in Italy. I’d make a small wager that a lot more cyclists are killed each year in the USA by automobiles than Italy. I have no idea if there are actually more cyclists on the Italian roads vs the USA but I simply do NOT see the disrespect and danger there that I routinely see (or my clients describe) in the USA. I’m sad that Scarponi was killed, but also sad that claims like this get made with (so far) nothing to back them up. FWIW, friends who have taken cycling vacations to Italy & France have told me their motorists are generally far more respectful of cyclists than in USA, and I/we live in a relatively safe-for-cycling region of US (So Calif coast). Italy’s great for riding, but it would be better if the roads were wider, and if there was much less traffic. A good part of the country is just too crammed. In Italy the motorised vehicles don’t have to respect *any* mandatory distance while overtaking a cyclist (in Spain it’s 1.5 meters). In Spain, you can’t overtake a cyclist if any cyclist is coming from the opposite direction on the other lane. In Spain, the roads which are most popular among cyclists have got special (reduced) speed limits imposed on motorised vehicles for the weekend. In most Spain’s cities you’re not forced to stay “as on the right as possible”, you’re encouraged to occupy the part of the street which you feel might grant you more visibility and safety (which is the centre of the road more often than not). Riding in double line on interurban roads is fostered since it’s considered safer (better visibility, reduces the possibility of risky overtaking by cars, reduces duration of overtaking); when a group of cyclists enters a roundabout, it’s considered as a single vehicle, anyone else must wait until the last cyclist of the group has passed. Whenever you’re turning, even if you’re turning right, you must check if there are bicycles nearby, because in that case you must wait before turning until they’re gone. The general effect of these laws, besides improved safety, is that car drivers are forced to include more and more the existence of cyclists (and the need to check especially for cycling presence) within their mental landscape. In Italy, cyclists aren’t even *seen* by drivers unless they represent a physical obstacle. I’ve been long cycling, for instance, in the Barcelona province (714 inh./sq.km), in Tenerife (441), Mallorca (240) in the Bergamo province (404), or in Emilia Romagna (198 avg., and 271 for the Bologna province), in the whole Marche region (avg. 164, with a max. of 243 in Ancona), in the Catania province (312), in Liguria (290) – and I won’t even name Cuneo or Alessandria… Significant parts of Italy are way too crowded, but that’s not what makes the difference in terms of cycling fatalities or general safety. Riding in Spain is great; drivers give you much more space and attention than the UK. France and Belgium were good too, though I think the Belgians take umbrage if there’s a bike lane available and you’re not using it. Italy, despite of what you might believe, is not much more of a cycling country than France or the UK – but it’s among those with the most fatalities for inhabitant. I’m going on memory now but I think that the UK has been having in recent years about 100-120 killed cyclists per year, France is around 150 and Italy never went below 250, often coming near to 300. Spain’s figures are more like 70 or so, but it’s less of a cycling country (while Germany is much more). To give you a term of comparison, the “morti bianche” in Italy (fatalities on workplace, that is every sort of accident while working, a well-studied and yet quite tragic phenomenon in “our” country) in 2016 were 641. More than 250 victims a year for… cycling… is a lot. Italy is not included but with the 2015 Audimob ISFORT data I calculated that Italy’s got 97 cycled kms per inhabitant per year and 43,75 killed cyclists per billion kms ridden per year. As you can see, not that different from USA and way worse than the rest of the European countries which should be a proper benchmark – at least, because of the “safety in numbers” which seems to work everywhere else. The fact that the USA are a terrible place for cyclists doesn’t make Italy any better. Apparently, in the USA *only Florida* has got an index of average annual deaths per residents which looks worse than Italy (which was 4.8 in 2012 and is now 4.3). Alabama became in 2015 the 35th state with a “safe passing” law that specifically mentions bicyclists. No such law in Italy. Personal impressions are interesting, but if you want to understand a problem in its entirety you need data. At EICMA 2015, Roberto Sgalla, central director of the Italian transport-related police forces, underlined that “compared with other European countries, Italy is an hostile territory for bicycles and motorbikes”. Moreover, in a talk he gave at the European Transport Safety Council, he explained that, because of a lack of European standards, Italy has presently got traffic laws which are simply not adequate to protect “weak users”. The process of changing them is taking years and looks just stuck. I must admit I don’t generally ride in congested cities in Italy, but I’d bet that’s where most of the cyclists get hit? In the last 3 decades I’ve cycled extensively in France and Italy along with some time spent in Switzerland and Spain. Only in Italy have I felt a general welcome on the roadways. That doesn’t mean there’s never been a jerk at the controls of an automobile but the feeling of ‘”the roads are for everyone” whether you’re walking, cycling or pushing a baby stroller is the strongest there and one of the reasons we started CycleITALIA instead of CycleThose-other-places. It’s both my passion and my business so I guess I need to apologize for not taking lightly claims by someone who doesn’t much live or cycle there about how dangerous it is? I spend every summer there and every winter when I can and soon will live there year-round. Might other places be statistically “safer”? That may be the case, but I’ll continue to enjoy cycling in Italy despite its lack of laws about safe-passing distance and the rest. I’ll continue to rely on what I’ve seen is a general respect for cyclists as road users, same as everyone else. I’ll continue to advise my clients that this is the case, even if based solely on my decades of personal experience. Well, Larry, might I say that I probably have a vaster experience about cycling in Italy, plus Italian way of thinking, than you? I’m still both living and cycling there a good part of the year (and I’ve spent the full year there for a good part of my whole life). And that feeling of “roads are for everyone”, that special respect towards cyclists, which I still remember from the 90s and maybe the first half of the 2000s, is quite much gone for good in many regions (not everywhere) – especially when most people aren’t on holiday. Cyclists were intentionally beat up or killed, from Puglia to Liguria, because of road conflicts. Rare events, not something you really need to be scared of, but that’s quite a symptom. Just imagine that you can read hordes of haters commenting *against any kind of cyclists* in the Italian news… about Scarponi… I’d hope none of them would ever come out of its den, but I’m afraid that they do, and when they do, they mostly drive a car. I’ll continue to ride my road bike in Italy and encourage everybody else to do so, instead of going gravel or MTB or in any safer country. Despite general perception, road cycling is *not* extremely dangerous per se, neither in Italy nor in most places (we’re speaking of fatalities per billion of kms), but – speaking of hundreds of wasted lifes a year – I’d feel better if everything was done to save them. The chance of a deadly accident isn’t high in absolute terms, but I’d prefer to be one of those 100 cyclists a year who *don’t die* thanks to living under a proper system of traffic laws and behaviour. Which, as I said, doesn’t prevent me from happily riding in Italy – it just prompts me to push for a positive change. Denial usually doesn’t help. I don’t like the word “accident” because it implies No negligence, and little or no responsiblity. The more apt term is “collision” or “crash”. “Accident” should be used to describe an event that is unforeseeable and unavoidable. A crash caused by a motorist who is texting or drinking alcohol, isn’t an “accident”. Defense lawyers for motorists who kill or injure cyclists will try to soften up juries & gain sympathy for their client by telling juries “it was an accident — bad luck — it could have happened to anybody”. LBL, one of his favourite races, 4th on his first time ever, still an U23, and 5th again ten years later, with another couple of top ten in the while. In 2015 he was still there, shaking the race from far. May the earth be light upon you, Michele. GVA? Maybe it will all come down to who is the least exhausted by this amazing spring campaign. Surely Valverde must be getting tired. PHIL is out of course. Looking forward to it . . .
Valverde never gets tired. Is he a cyborg from the future? I’m heading over to watch the race. Haven’t been to this part of Belgium before. Does anyone have any recommendations on somewhere to watch the race? You’re cutting it a bit late for the planning. You can see the start in Liège and then La Redoute is a good spot, normally the Gilbert fan club has a giant screen to show the race, a BBQ and more. If not then you can see the start in Liège and catch a bus for the finish to Ans… 12 minutes ride apparently. Hehe yeah we sure are. It was a last minute decision at the pub last night – oh hey let’s take the Eurotunnel over in the morning! It’s possible to watch the Cote de Saint Roch climb, in the picture at the top, then head in a car to catch one of the later climbs – perhaps the Roche aux Faucons near Esneux, where the race should be breaking up nicely. And perhaps a dash to a pub to see the finish! This is the only Monument I’ve yet to see live, in-person. 2018! (he typed hopefully, especially after reading the 2017 weather forecast) VAI ULISSI! 19 Monuments now. Only placed in the Top 20 once. 20th in this race 4 years ago. What a rider he is. 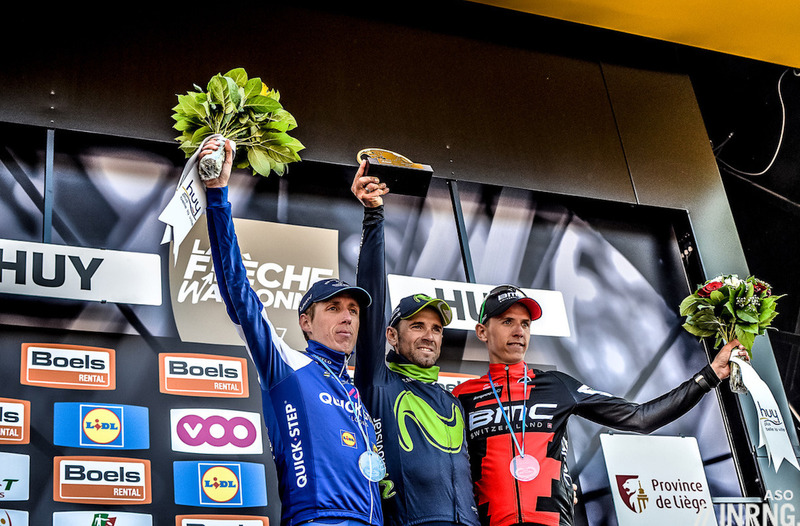 I am hopping the riders saw the amstel gold race and that, by attacking from far out, Valverde is beatable ! Towing him to the final climb like in the Fleche means most probably defeat considering his form. GVA is doing the right thing by taking part, it is unlikely he will win but it depends on how the race unfolds. We were saying the same thing at the Olympics and he came up with the win. Anyway, here is hoping that the race follows suit with the rest of 2017 which has been a very exciting season thus far with many great races. One final note on Scarponi, it is very sad indeed. I started following cycling after his prime but he was a key team member and I don’t think Nibali would have won the Giro last year without him. Looking at the reaction from the peloton he was much appreciated and is a great loss to the sport but even more so to his friends and family. My thoughts are with them in these tragic times. A sad day for cycling in the wake of Scarponi’s tragic death. To beat Valverde some brave souls will need to attack from distance. We know Valverde himself won’t pull to chase. He never does. Its nearly impossible to say who will win instead though as this race attracts so many possible winners for whom good cases can be made. Kwiatkowski to retain the monument for Sky and become a double monument winner for the year? We know he can last the distance and he has a sprint. The left turn at the finish should stop him deploying it too early this week. Yes, this is the tactic to be used if you won’t to beat valverde. Try to isolate him and then put him in a position he has to chase himself. Really not sure about ‘tactical mastermind’ – not after the Amstel Gold: possibly one of the worst sprints ever. Here, he was about level with Dan Martin when he attacked, but I’d say DM should have attacked from nearer to the front as well. And after DM’s tactical failings in Fleche on Wed., it’s clear to see that for both riders their tactics this week have been seriously wanting. Martin was well out of position at Flèche, but here he was exactly where he needed to be in the finale….but just didn’t have his 2013-era power in order to stay clear and solo to the win. If he attacks from less far back maybe he can hold off Valverde? Probably not. Once again, no major attacks from distance – LBL is now more of a ‘Just watch the last 5km’ race than Milan Sanremo (despite what people always say about M-SR). Agreed totally, the only Ardennes race worth watching was Amstel, and since that worked out I believe it’s time for a re-think as far as LBL is concerned, this finish in Ans lost its lustre a few years ago. It doesn’t have to be a flat finish per se, but a new route, and different climbs near the end might help; there’s little point adding new and exciting climbs when there’s still 75km to go and the break is likely to still have 8 minutes or so advantage. if they cannot make the final k more lively, at least they should made them more charismatic than the post industrial suburbs of Ans. Most people live in much worse places. Really. 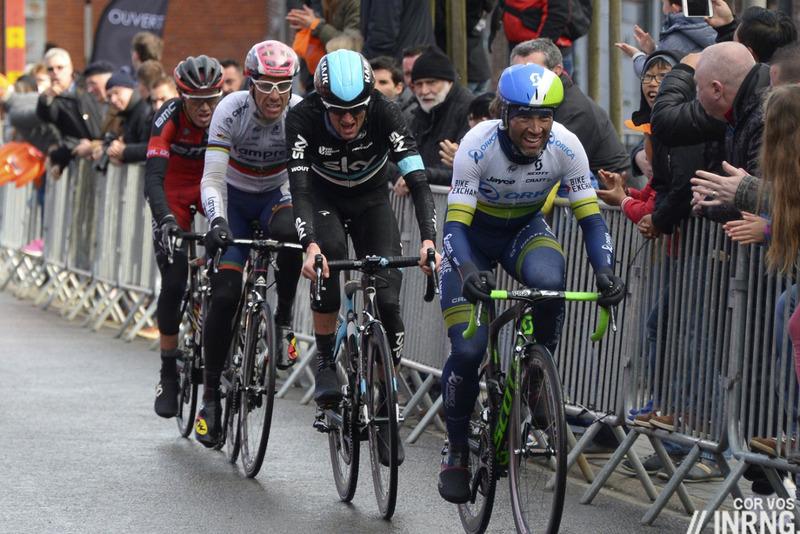 To beat Valverde you have to outclimb him, or out sprint him. Thing is in the finale he was as rested as he could be and no one else has his characteristics. Martin being the closest probably…. The only thing wrong with Dan’s attack was that it wasn’t strong enough! easier said than done, especially sat on my sofa.